DETROIT – Seventeen months after a Detroit police “Special Response Team” stormed seven-year-old Aiyana Stanley-Jones’ home in a poor neighborhood and shot her to death as an A&E TV crew was filming, Wayne County Prosecutor Kym Worthy has charged the child’s father, Charles Jones, 26, with first-degree murder. At the same time, she charged a single officer, Joseph Weekley, 36, who lives in the well-to-do white suburb of Grosse Pointe, and a single A&E official with lesser charges of manslaughter and perjury, respectively, related to the horrific raid. Aiyana’s grandmother, Mertilla Jones, who was sleeping with the child on a couch when police tossed an incendiary grenade through the window above them on May 16, 2010, and saw her granddaughter die, expressed utter anguish after her son was arraigned Oct. 5. Police arrested Ms. Jones, drug tested her, and held her for several days after the raid. Assistant Police Chief Ralph Godbee (now head of the department) claimed she had “interfered” with Weekley, causing his gun to go off. 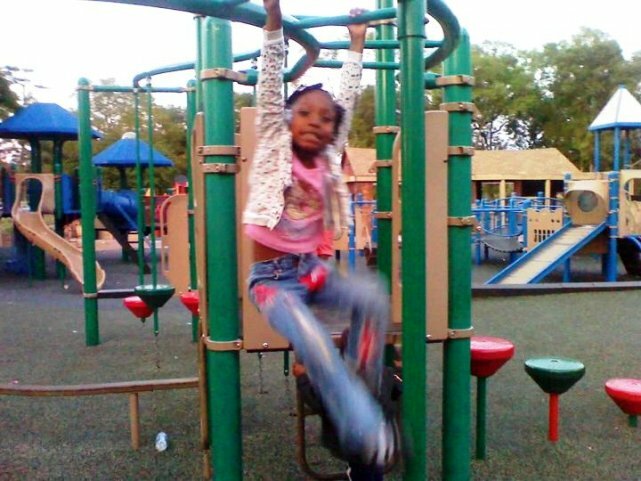 She was never charged, but the city has reiterated those contentions in an ongoing civil suit brought by Charles Jones and Aiyana’s mother Dominika Stanley in the case. Charles Jones’ sister LaKrystal Sanders said, “My brother had nothing to do with that case,” referring to the shooting death of 17-year-old Je’Rean Blake two days earlier, the case in which Jones is charged, and the pretext police used for the raid. 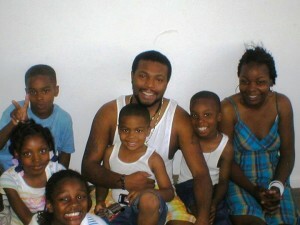 Jones’ friends Randolph Monzure and Calvin Carpenter also said he didn’t have anything to do with the Blake shooting. Jones was represented at his arraignment by attorney Jonathan Marko of the law firm of nationally noted attorney Geoffrey Fieger. He requested that Jones’ preliminary exam be postponed until Nov. 18 to allow time for discovery. Jones will later be represented by another attorney from Fieger’s firm. Meanwhile he was ordered held without bond. “He needs representation and deserves representation,” Marko said. Sanders’ fiancé Chauncey Owens pled guilty to second-degree murder as the shooter in the Blake case, but questions remain. His attorneys tried several times to get his confession thrown out, saying it was taken under extreme duress after he found out Aiyana was dead, and that he was not competent to stand trial. 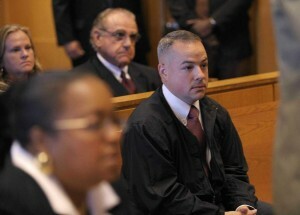 His sentencing has been postponed twice, due to “problems with the plea deal,” according to the prosecutor’s office. It is now set for Oct. 31. Local media has claimed his plea deal involved saying Charles Jones gave him the gun, but no such claim exists in his court file. Owens was peacefully arrested during the raid, which took place at 12:30 a.m., although police watching the house saw him outside during daylight hours and could have made the arrest then. 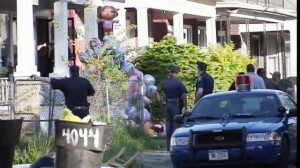 Click on http://www.clickondetroit.com/news/27500721/detail.html to watch the coverage from which the photo above was taken. It says the killing of Je’Rean Blake “led to” the killing of Aiyana Stanley-Jones, leaving out entirely the culpability of the police department in raiding a home they knew was full of young children. The reporter says Owens will name Charles Jones as the man who gave him the gun. However, nothing in the actual videotape supports that contention. 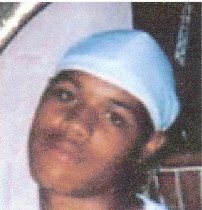 Even Yvonne Cargyll, mother of Je’Rean Blake, says she is relieved Owens pled guilty and that he would name “someone” who gave him the gun. Mark Robinson, a cousin of Aiyana’s who was out walking the family dogs just before the raid warned the Special Response Team that there were small children inside. Children’s toys were strewn all over the yard. 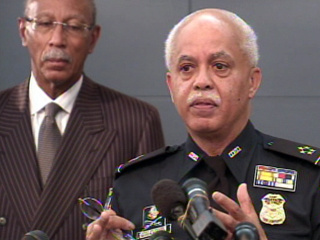 Worthy brought no charges against the police command involved, or against former police Chief Warren Evans, who signed the contract with A&E to shadow Detroit police. Detroit Mayor Dave Bing refused to meet with community groups about the killing and did not extend sympathy or an apology to the Jones family at the time. 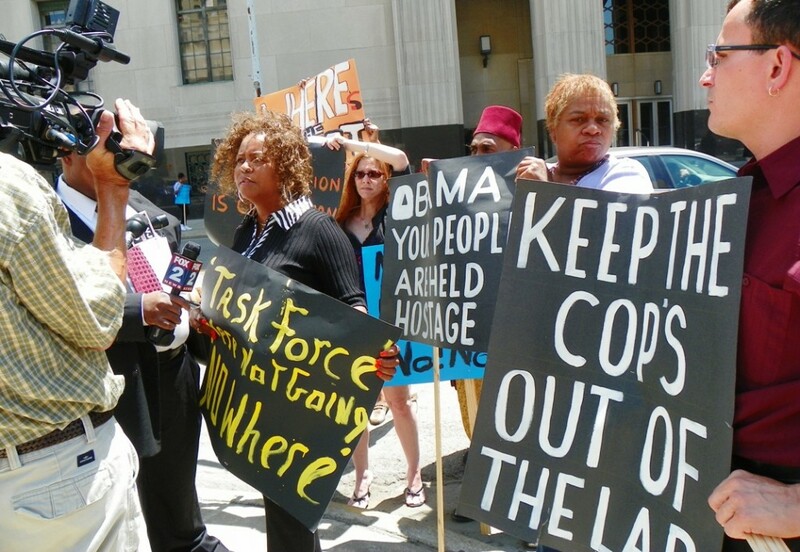 Worthy also brought no charges against A&E as a corporate entity. The charges against “The First 48” principal photographer Allison Howard allege she showed the videotape of the raid to a “third party.” The family’s nationally-noted attorney Geoffrey Fieger said at a press conference after the killing that he had seen a copy of a videotape but did not say it was the A&E tape. 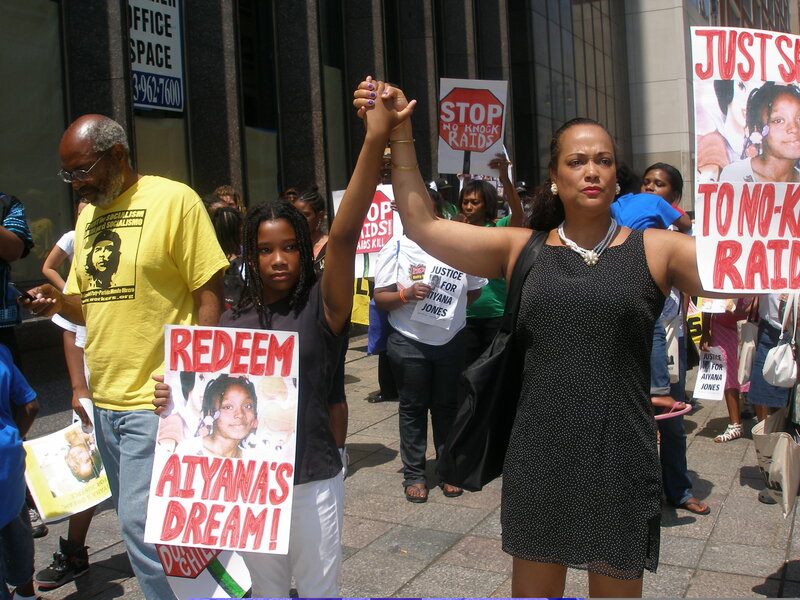 Aiyana’s killing sparked outrage around the world. Emails, articles, and song videos poured in from everywhere. But it was clear from the very beginning that no charges would be brought against the police until her father was charged, largely due to police and media collusion. During the Fieger press conference, the first question a reporter asked was whether Charles Jones gave the gun to Owens in the Blake case. Talk show hosts repeatedly whipped up division in the community between the two families, diverting attention away from the role of the police. The Detroit Free Press now has published positive interviews with Weekley’s friends and cited` “expert” sources who allege a jury is likely to be sympathetic to him. Juries in Wayne County’s Third Circuit, where Jones will also be tried, are generally dominated by suburban whites, according to several studies, since the abolition of Detroit’s Recorders’ Court in 1999. The state legislature folded it into the Third Circuit after a predominantly Black jury convicted two white officers, Larry Nevers and Walter Budzyn, of second-degree murder in the beating death of Black driver Malice Green in 1992. 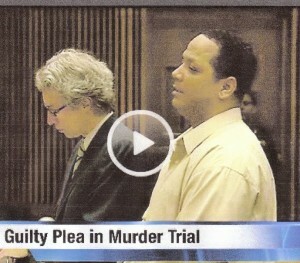 A white cameraman for Fox 2 News, who was filming Jones’ arraignment, wore a “U.S. Marshal” T-shirt and said he worked part-time for the Wayne County Sheriff. In conversation, he expressed sentiments in favor of the first-degree murder charge against Jones. Police Officer Joseph Weekley was arraigned Oct. 4 on charges of “Involuntary Manslaughter (15 years maximum penalty) and Careless and Reckless Discharge-Death Resulting (2 year maximum penalty). A&E producer Allison Howard was charged with “Perjury during an Investigative Subpoena (15 year maximum penalty) and Obstruction of Justice (5 year maximum penalty),” related to her testimony on the A&E videotape of the raid. Weekley was involved, but never charged, in an earlier case where he and other Special Response Team officers raided a home in similar fashion, guns blazing, and shot two family pets to death in front of young children. State police searching Aiyana Jones' home; they were also looking for evidence against her father. Worthy used legally valid but obscure “one-man grand jury” proceedings and “investigative subpoenas” to bring the charges after first having the Michigan State Police investigate the case. Their investigation, which concluded in March, resulted in a warrant for a single man, whose identity was never revealed. 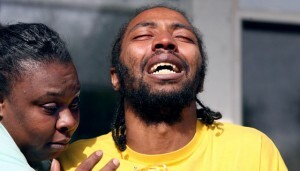 It was clear that they were also focusing on Aiyana’s father, since they impounded a van in his backyard allegedly connected to the Je’Rean Blake killing. She said she was precluded under the grand jury statute from discussing details of the case. One case involved Officer Kata-Ante Taylor, who is cited as a witness in the civil suit Fieger brought on behalf of Aiyana’s parents against Weekley. It is unclear if Taylor was part of the “Special Response Team” that raided the Jones home. 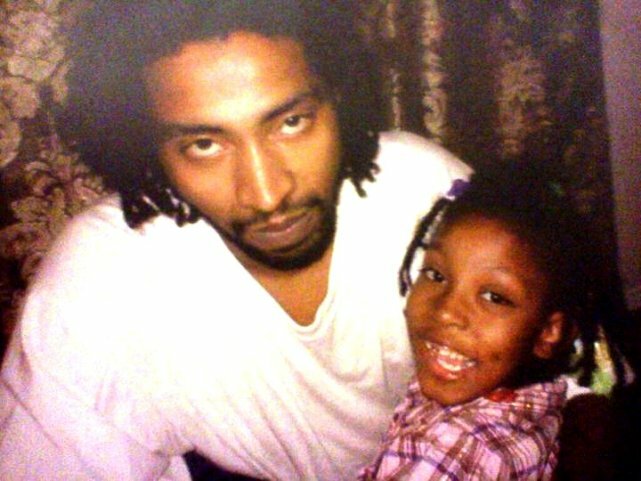 Fieger’s firm sued Taylor and another officer, Aubrey Wade for shooting 18-year-old Artrell Dickerson to death on the premises of the Cantrell Funeral Home on Detroit’s east side, after a friend’s funeral in Feb. 2007. This reporter spoke to several witnesses who saw the killing at close range. They said Taylor shot Dickerson in the Dickerson back as he lay on the ground, already wounded. 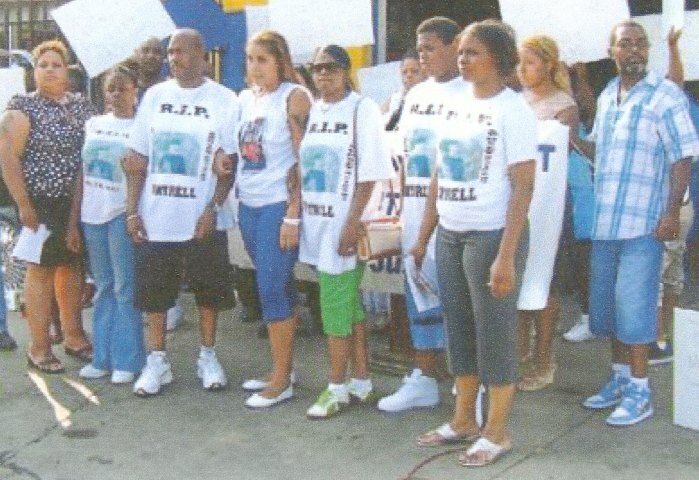 The Detroit People’s Task Force to Free the Wrongfully Convicted has been demonstrating regularly against what they say is Prosecutor Worthy’s failure to fully examine crime lab evidence that was shown to be falsified in 2008, and grant new trials. They issued the following statement regarding charges brought in the Aiyana Stanley-Jones case. After hearing that nobody will pay for the death of Caylee Anthony. I was outrage but not surprise! Ones again white on white crime would not be acknowledge and white American justice would win again. 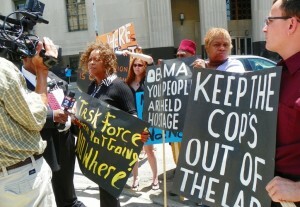 The public out cry has turn into death threat to the jurors and the judge! Protector shout out again the verdict and Casey Anthony. In Florida many residents in Casey’s family neighborhood state they don’t want Casey to return. It would not be save for her in Florida. The public can’t believe with the amount of evident against Casey Anthony. She got off! There is so much outrage and condemning the justice system. For allowing a murderer of a child to walk free! Now change the race of the murder victim from white to black. Seven year old Aiyana Jones didn’t receive near as much out cry from the public! Matter of fact many whites American media said nothing! 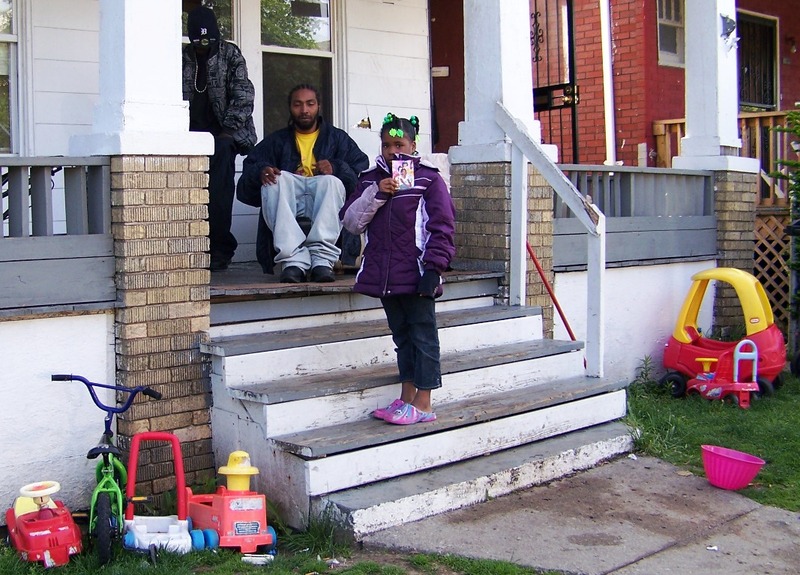 When a white Detroit police officers raided the home of Aiyana Jones. They were in search of a murder suspect that lived in the above apartment of Aiyana Jones. Before entering the property many in the neighborhood shouted. There are children inside. It didn’t matter the children were black the neighborhood was black. The police see black people as less then human. Especially white police officers! 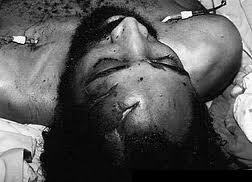 Disrespect of black life is the way of life in the USA! Hate and divide is practice in America! So the cop threw a flash bomb into the property which lit a sleeping Aiyana on fire. Then kick in the door and fire a shot into the neck of Aiyana. Killing the unarmed innocent child! Later the cop would lie and blame the reason the child was shot on the grandmother! TOTAL LIE! Had the cops knock on the door they would have found out that the suspect was asleep in the upstairs apartment! In Atlanta GA. Black senior citizen 92 year old Kathryn Johnston met the same fate as Aiyana Jones. The different the three white police officers totally raided the wrong home! There was no suspect. They had a no knock warrant so they kicked in the door! Then fire 39 shots at Ms. Johnston. Six hit their mark killing Ms. Johnston. As she lay dying the lowlife police officer put a gun in her hand and drugs in her basement! Then they tried to get a black man to say he brought drugs from Ms. Johnston. He refuse! In their report the cops stated. That Ms. Johnston fire on them first LIE! They stated that drugs were brought from the home LIE! 7 year old Aiyana Jones and 92 year old Kathryn Johnston had one thing in common NO NOBODY CARES THEIR CIVIL RIGHTS WERE VIOLATED! Ms. Johnston didn’t actually wound any of the officers. They were wounded by fragments of ricochet from their own storm of bullets. And there was no marijuana. Once they realized their mistake, the officers handcuffed Ms. Johnston and left her to bleed and die on the floor of her own home while they planted marijuana in her basement. We now know that it was routine for Atlanta’s narcotics officers to lie on drug warrants. We know that judges in the city rather systematically approved those warrants with no scrutiny at all (the judge in the Johnston case literally rubber-stamped the warrant), abrogating their oaths as guardians of the Fourth Amendment. Two months before the Johnston raid police officers nearly killed another elderly woman in the same neighborhood after forcing their way into her home in a mistaken raid. A year earlier, they had mistakenly raided the home next door to Johnston’s. And just days before, Atlanta police had conducted another forced-entry raid that turned up all of two marijuana cigarettes. We now know that once the officers in the Johnston case knew they were in trouble, they pressured one of their actual drug informants to lie for them, and vouch for the fabricated account of the controlled buy. That informant–Alex White–refused, and bravely came forward to tell the media what had happened. Had he given in to the pressure put on him by APD narcotics officers, the world would still likely believe Kathryn Johnston was a drug dealer, and her killing was justified. In fact, subsequent investigations showed that the corruption at the Atlanta Police Department was so pervasive, Police Chief Richard Pennington eventually had to replace the entire narcotics division. Atlanta is still in a state of self-examination since the Kathryn Johnston case. To its credit, the city is considering real reform in the way it conducts its drug policing. Politicians at the municipal, state and federal level may guide that process, as may a lawsuit from Ms. Johnston’s family. But beyond Atlanta, the beat goes on. All across the country, narcotics units and SWAT teams are still kicking down doors in the middle of the night and still deploying flash grenades and using aggressive, paramilitary tactics–and they’re still doing all of this to apprehend people suspected of nonviolent crimes. And they’re still making mistakes. In February of this year, 16-year-old Daniel Castillo, Jr. was killed in a police raid on his family’s home in Texas. Castillo had no criminal record. A SWAT officer broke open the door to the bedroom as Castillo, his sister, and her infant son were sleeping. When Castillo rose from the bed after being awoken to his sister’s screams, the SWAT officer shot him in the face. In March, police in Spring Lake, Minn., acting on an informant’s tip, raided the home of Brad and Nicole Thompson. The couple was forced on the ground at gun point and warned by an officer, “If you move, I’ll shoot you in the f___ing head.” Police had the wrong house. In June, a 72-year-old woman on oxygen was thrown to the ground at gunpoint in a mistaken drug raid near Durnago, Colo. Sharia Law is highly criticize by American Muslim are under attack by Rep. Peter King. But nothing is done to stop and or prevent American police brutality. Or white racist police brutality or to just protect children and senior citizen from being murder by white racist ignorant criminal police officers in America! 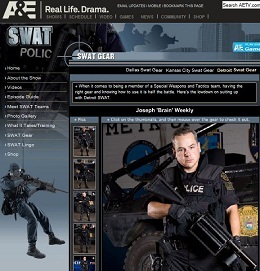 American police are one in the same with Sharia Law! This story has been published as written in The Final Call, the national newspaper of the Nation of Islam, this week (Oct. 18 edition). It is on the streets now, but has not yet been published online. Be sure to pick it up. This looks like another case of racist justice in the US. This is nothing new. This case shouldn’t surprise anyone. This is the same exact thing that Black people have been dealing with for 450 years. What should shock us is the fact that after four and a half centuries, Black people still hope to force white people to love us and be good to us. It’s not on them to love us and be good to us. It’s up to us to love ourselves and be good to ourselves. Your community never had to force me to love people of color. The merits of your community members always spoke for themselves. I am equally upset over how Weekely was charged, compared to how Jones was charged, but relieved that this case has started. That being said, I, along with the Justice for Aiyana Jones Committee, will deal with what’s on the table, and work to support that a fair, and balanced jury for Charles Jones be seated. As I have announced on Facebook already, I want readers of VOD to be clear that I am no longer associated with the Justice for Aiyana Jones committee. As an investigative reporter for 12 years, I covered jury trials where cops were always acquitted and where Black Detroit residents were always convicted despite evidence to the contrary. I certainly hope that Mr. Jones will be acquitted, but that is statistically unlikely. Despite four years of a battle against the unbalanced racial composition of juries in Wayne County, which I covered extensively, nothing has changed. I would be interested in knowing exactly HOW Mr. Lawrence plans to ensure a balanced panel. Charges, particularly first-degree murder charges, should NEVER have been brought against Jones. The entire purpose of those charges is to criminalize and demonize Aiyana’s family, and justify the cops’ raid on HER flat, where Jones resided, in order to get Weekley off. Any other analysis is naive.